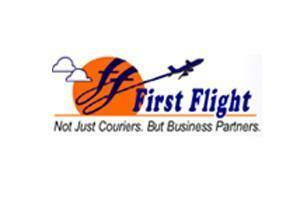 First Flight Couriers Ltd is a renowned courier Indian company which came into operation in 1986. Initially started with three offices today it is one of the successful and reputed players in the business. Having more than 1200 offices across the country and with more than 2300 collection centers it is one of the trusted and popular brand in the courier business. In Ernakulam, First Flight Couriers are one of the most sought-after courier companies with huge demand for its services. To cater this requirement and popularity there are several First Flight Courier office based in several locations of Ernakulam district. Known for its speed, safety and reliability, it has a huge reputation in this part of the country. Sir , pankulam perumbavoor Ernakulam se ek keyboard pickup karna he aur Mumbai bhejna he kitna kharcha hoga. how to track a courier in transit online...or via phone?? kindly suggest. we are having some inconvenience in tracking especially for the ernakulam region. Sir, my friend sent a pkt having awb no.091400008131 from panipat haryana to ernakulam on29th dev. 2016.. I tried to trace it but i am unable todo so. I tried the Phone nos mentioned of office in T.D. Road ernakulam, but nobody picking up. Unable to understand to whom to contact. I never expected such a horrible service from a reputed Courier service like you. My consignment was sent on Jul 5th 2016, and is yet to be received. This is so disgusting that we are over paying for such a pity service. And about the customer care service, haha, what is that mean? The numbers you are provided doesn't exist in this universe.. It would be better if you update phone numbers listed at least once in a year. Most of the numbers does not exist. Response over phone is equally bad.